19 September 1825. Place not stated [ London? ]. [ Rev. 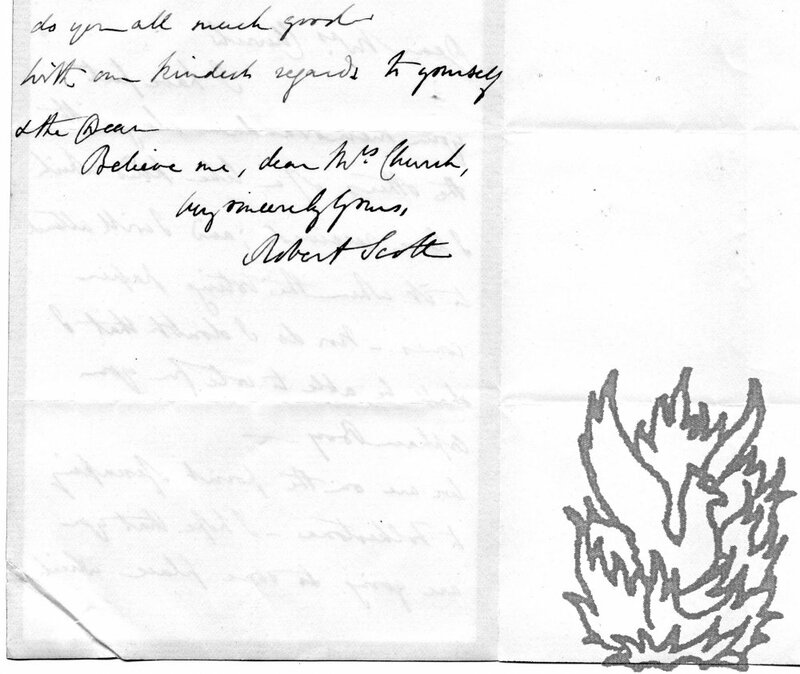 Robert Whiston, inspiration for Trollope's 'The Warden'. ] 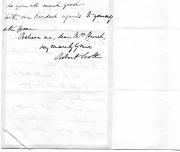 Autograph Letter Signed ('Robert Whiston') to the Mayor and Corporation of the City of Rochester, regarding an application to make a dock and use a creek in the River Medway. Rochester [ Kent ]; 16 June 1854. 3pp., 4to. Bifolium. In fair condition, aged and worn. Docketed: 'Application of the Revd. Robt. Whiston to make Dock & use Creek'. Written in a hurried hand. '<?> Hotel'. 11 July 1829. 1p., 12mo. On aged and worn grey paper, with a corner torn away, affecting a couple of lines of text. Franked on reverse: 'Ashford July eleven 1829 | The Right Honble | The Lord Mayor | &c &c &c | Mansion House | London | E Knatchbull'. Knatchbull's small seal, depicting a dog, is present entire in black wax. He writes that he would have had 'much pleasure' in meeting him at Rochester, but that his 'House will be full of Company on the 24th'. Manuscript bill book of a firm of Victorian attorneys of Chatham, Kent, containing itemised bills to hundreds of clients (including St Bartholomew's Hospital, Chatham), filled with details about their cases. August 1866 to December 1868. Folio, 530 pp, preceded by 24 p manuscript thumb index. In original brown calf binding, marbled endpapers, with red spine label stamped 'BILL BOOK C'. Text clear and complete, in a variety of hands. Good and tight, on aged paper, in worn binding. The first twenty-seven pages carry bills from the firm acting on behalf of 'The Trustees of Saint Bartholomews Hospital, Chatham' (founded in 1078 by Gundulph, Bishop of Rochester, for the 'poor and leperous', and one of the oldest hospitals in Britain). Autograph Letter Signed to Helen Frances Church [née Bennett]. 23 July 1875. Deanery of Rochester. 12mo, 2 pp. Fourteen lines of text. He has put her 'memorandum' with 'the others of a like kind', and does not doubt that he will 'be able to vote for your Orphan Boy -'. The Scotts are 'on the point of escaping to Folkestone', and hopes that Mrs Church is 'going to some place which [will] do you all much good'. Sends kind regards to Mrs Church '& the Dean'. Indenture between the Mayor and Citizens of the City of Rochester in the County of Kent and Thomas Lediard Citizen and Clothworker of London. An important piece of local history. Neatly engrossed on one side of piece of stained and discoloured parchment, dimensions approximately 24 inches by 22 inches. Signed at foot by Lediard and with his seal (in poor condition). Signatures of five witnesses on reverse. In poor condition but with text mostly legible. Four holes, two of them affecting text, at intersections of folds in document.